2-18 –Dr. Alban Sing Hallelujah ! Track 1-14, the artist is credited as the "Jean Flora" real name is "Francky Vincent"
Track 1-16, the song is credited as the "Maldon" is credited as real name "Maldòn"
Track 2-2, the artist is credited as the "Los Pirres" real name is "Rocco Granata"
Track 2-11, the artist is credited as the "King Cool" real name is "Ben E. King"
Track 2-10, the song is credited as the "OK Fred" is credited as real name "O.K. Fred"
Track 2-15, the song is credited as the "Les Élucubrations" is credited as real name "Les Élucubrations D'Antoine"
Track 2-20, the artist is credited as the "K.O. Culture" real name is "Les G.O. 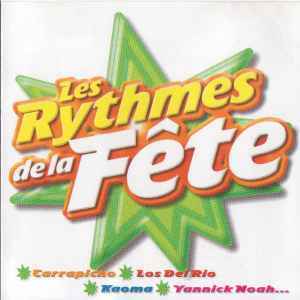 Culture"
Track 2-20, the song is credited as the "Le Dirlada Des Bronzés" is credited as real name "Le Dirlada Des Bronzés (Darla Dirladada)"
Track 1-1, is credited "Tic Tic Tac (Radio Edit)"